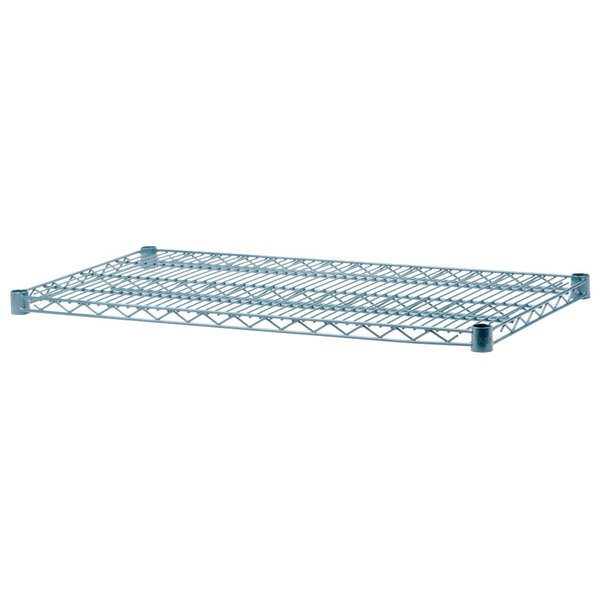 Upgrade your establishment's storage by using this Regency 14” x 72” NSF green epoxy wire shelf. 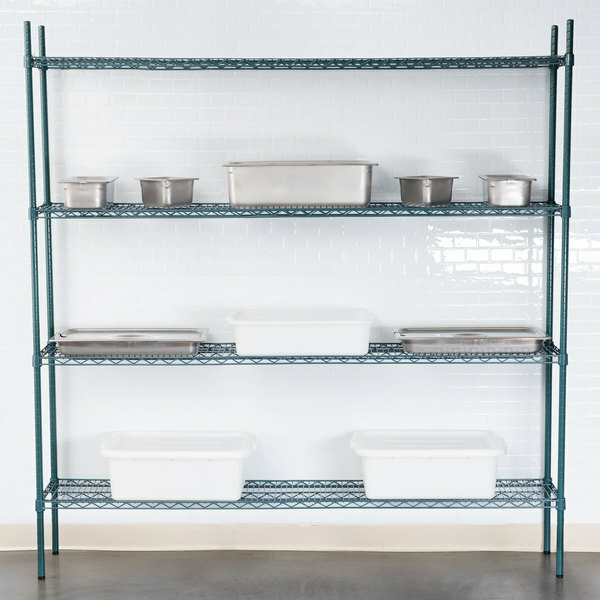 Keep the supplies in your restaurant, bar, dining hall, warehouse,or dish room neat and organized by using this commercial-grade Regency 14” x 72” NSF green epoxy wire shelf. 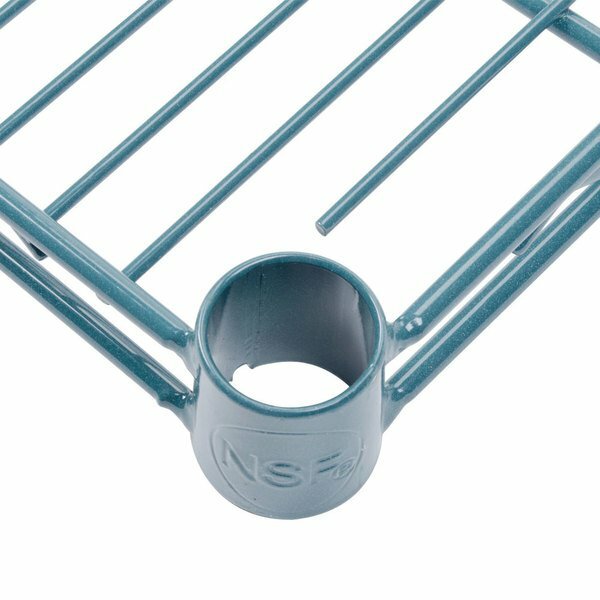 This product easily attaches to its compatible leg posts (sold separately), allowing you to quickly set up a sturdy shelving system straight out of the box. 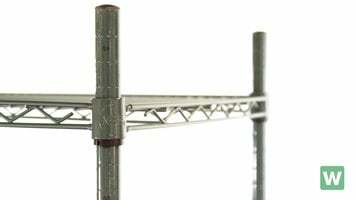 Plus, thanks to its epoxy coating, this versatile product can be used in almost any dry or humid environment. "We love this shelving, it was easy to put together and the green epoxy allows us to store in the cooler without worrying about rusting. 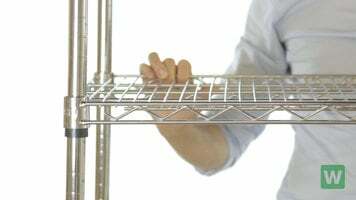 We put a decent amount of weight on each shelf and have not had any concerns with it being too heavy." 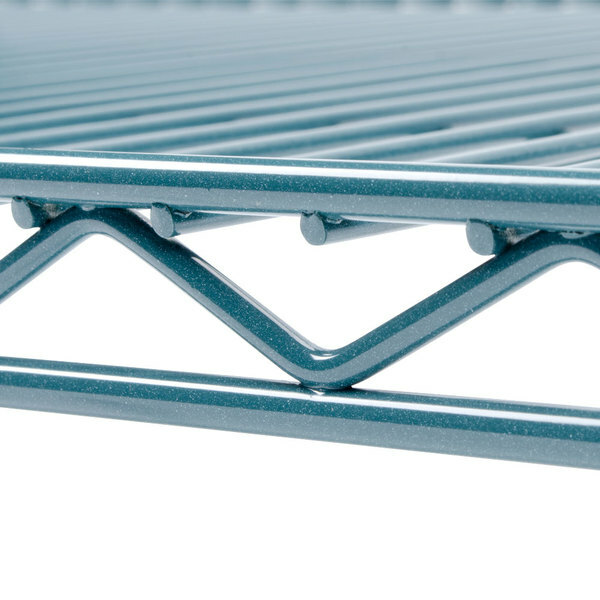 The shelf's vented design enables proper air circulation, so it won't collect dust as quickly. This feature also enables quick and easy cleaning. 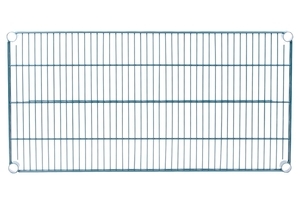 These shelves are perfect for almost any storage application. 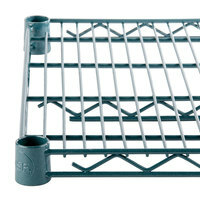 We use these in our walk-in cooler, in our dry storage area, and also above our sinks for drying dishes. This is a must have for setting a shelves in every walk in. 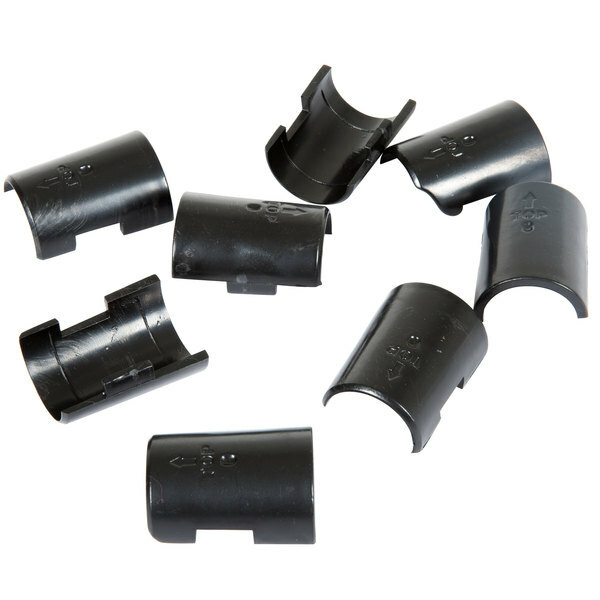 It is coated with epoxy which will prevent it from rusting. Also, this epoxy makes it easy to clean. Give regency a try. 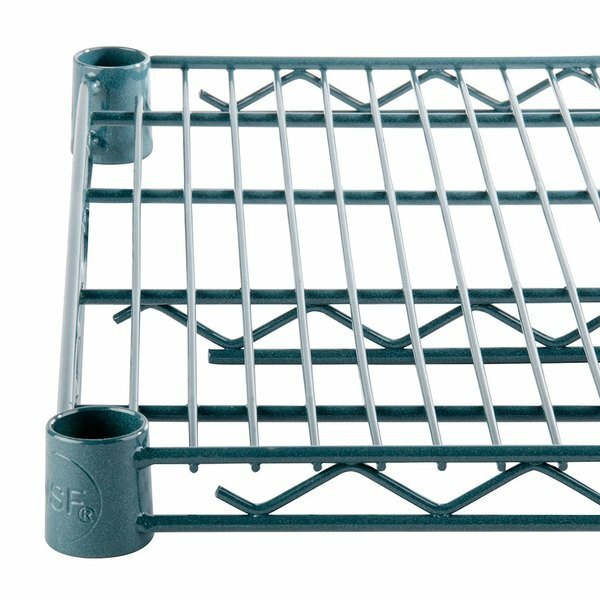 NSF epoxy wire shelf. What can I say, but they are great. Look at the price and give it a try. For the price you cant loose. 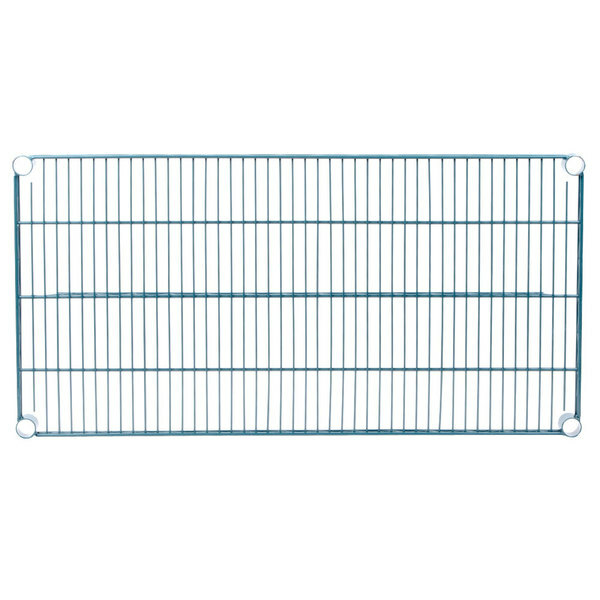 The 14x72 Epoxy Green Wire Shelves are great. Easy to clean, durable, and tall! We use these in our walk in cooler and have been very happy with them as a product. We love this shelving, it was easy to put together and the green epoxy allows us to store in the cooler without worrying about rusting. 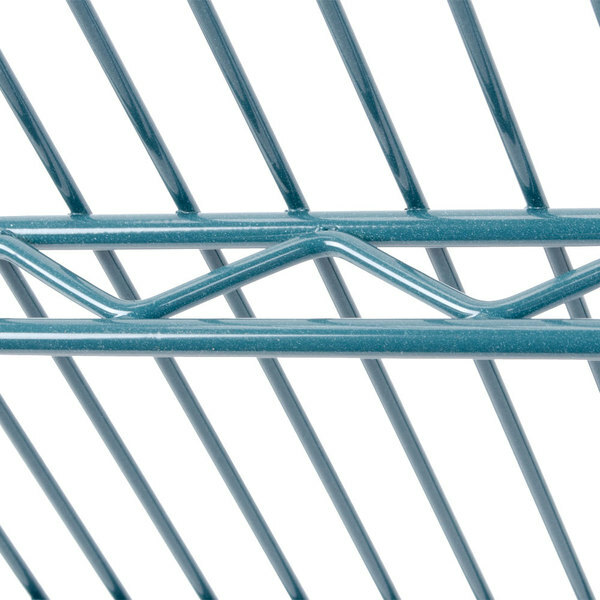 We put a decent amount of weight on each shelf and have not had any concerns with it being too heavy. very strong shelf, I stack a bunch of 40 lb frozen chicken breasts, wings, beef, pork chop and other frozen item on the shelf and it stood. great product.